For those of you who absolutely dread the shops and the queues then shopping online is probably a better option. The Find me a gift website caters for everyone young and old with all sorts of preferences. I have worked with them before and this time I chose these two items. Yes I have a box of sprouts there! But forget the dreaded Christmas dinner vegetable, these sprouts are in fact made of chocolate. They are made by the Choc on choc brand, whom I’ve also previously worked with and they really do look like sprouts on first glance. It’s probably not a good idea to eat these sprouts before the real dinner sprouts as they are quite big and filling. Therefore save them until after dinner. They currently cost £8.49 and you get 8 sprouts per pack. 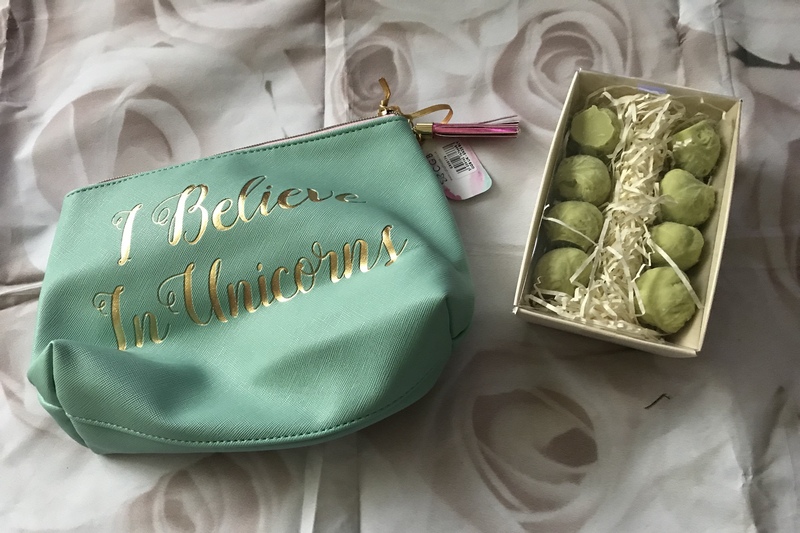 The unicorn make up bag costs £9.99. I have a few make up bags but I really like this one. It has a sort of leathery feel on the outside meaning it’s easy to wipe clean. The colour is teal which is very much like turquoise and there is gold lettered writing on the front and back. 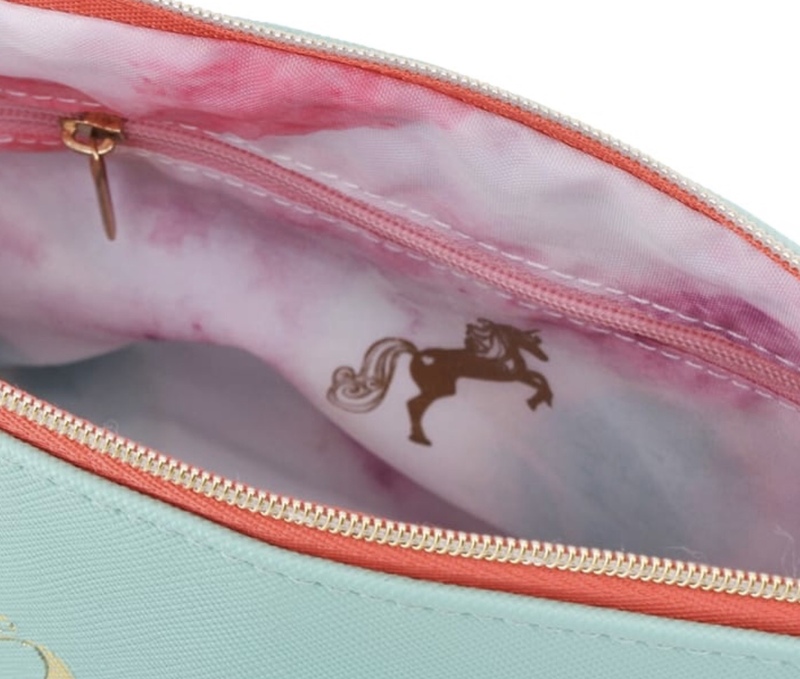 The inside is really pretty too, colourful and a little unicorn image. There is lots of space inside to fit lots of make up and accessories and even a useful extra zip pocket. The main zipper has a tassel and a pretty gel rainbow puller. Find me a gift also has some lovely gifts for men and children as well as lots more gifts for us ladies.